The lifestyle section of Forbes magazine has also highlighted BREEF's marine conservation project. In the article, centerpiece sculptor Jason Taylor noted that “the aim was to show the vital role the local community and especially the younger generation have in conserving the islands’ natural resources”. 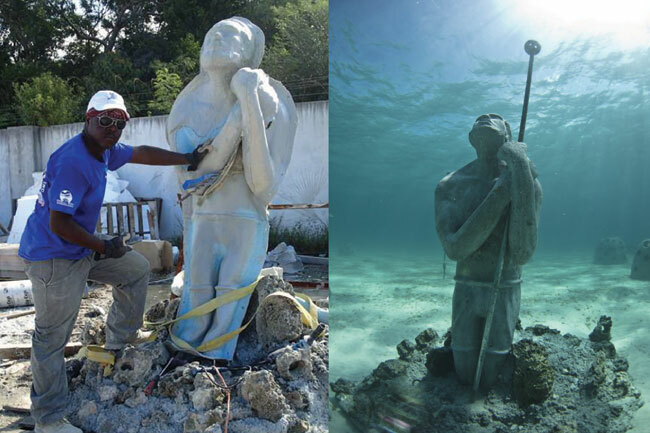 “Some US visitors I met are already planning their return trip to The Bahamas to see how the sculptures - pieces of living art- change over time as corals and other marine life make the new reefs their home,” noted McKinney-Lambert.